This building in Automobile Alley was constructed by Anderson & House, Inc., and served as the headquarters for the C.R. 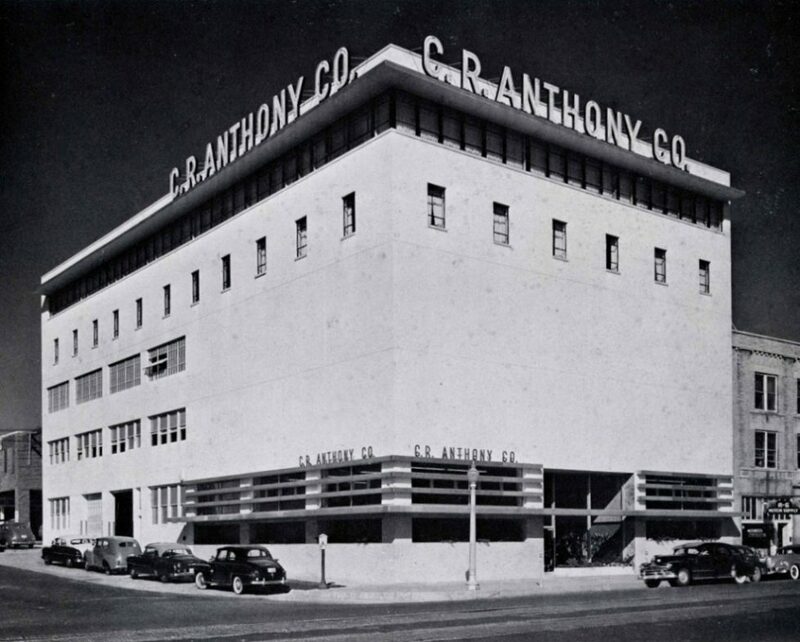 Anthony Company for decades. In 1995, it sustained severe damage during the Oklahoma City Bombing and remained vacant for several years, a sad eyesore among many other deteriorating structures. In 2000, the building became one of the first rehab projects in the area and is now home to RCB Bank.